Various racks for wires, pin, and drill bits. 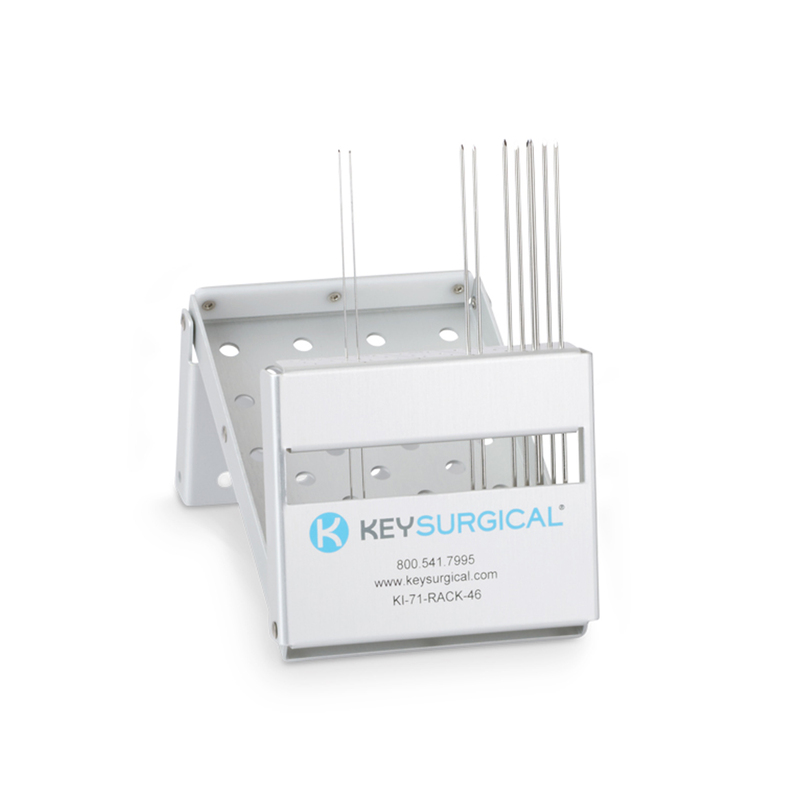 Conveniently sterilize, store, and transport your orthopedic accessories with a sterilization rack from Key Surgical. 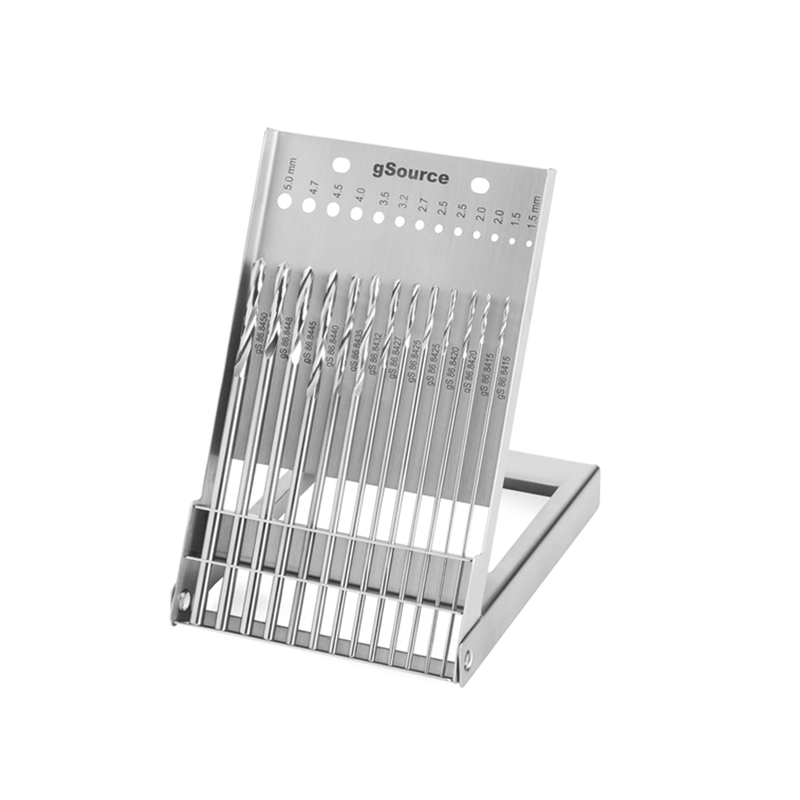 All styles fold open to a tabletop position for easy use in the O.R. 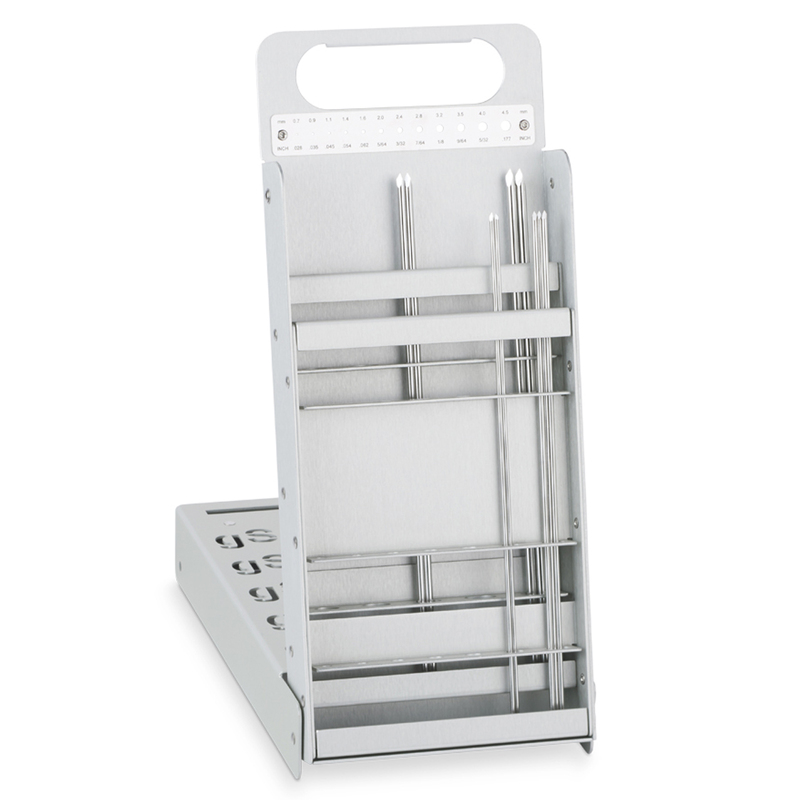 Holds various sizes of wires, pins, or drill bits with dimensions clearly marked on the racks for quick and easy identification. Sterilizable.